The new HSK is an international standardized exam that tests and rates Chinese language proficiency. It assesses non-native Chinese speakers' abilities in using the Chinese language in their daily, academic and professional lives. 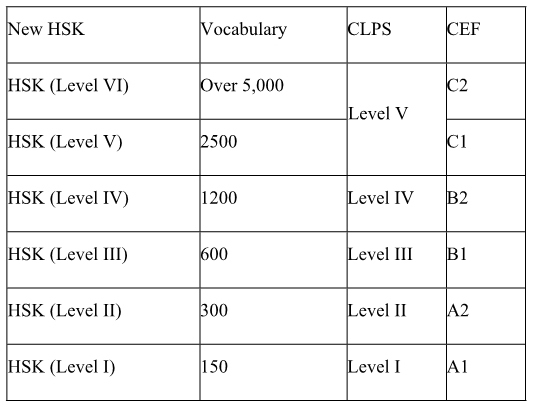 HSK consists of six levels, namely the HSK (level I), HSK (level II), HSK (level III), HSK (level IV), HSK (level V), and HSK (level VI). The new HSK emphasizes the objectivity and accuracy of the evaluation and stresses the learners' actual Chinese language abilities. The HSK certificate has a permanent validity, whereas the accompanying test report will only be valid for two years (beginning from the date of the test session) as certification for foreign students to enter a college or university in China.